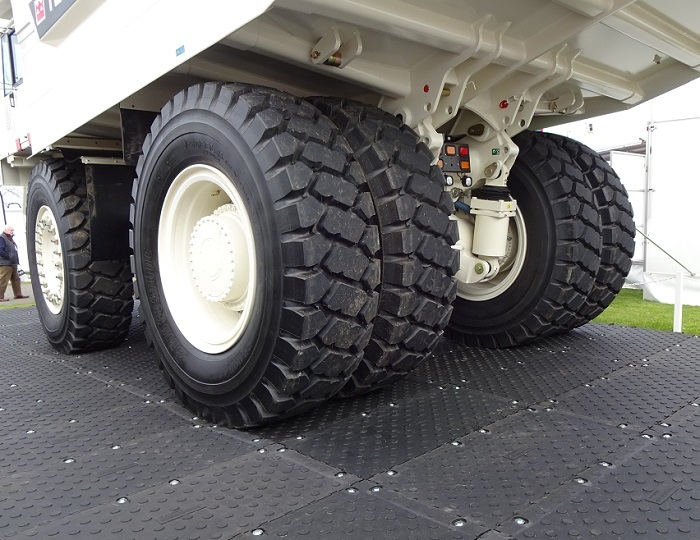 Ground-Guards guarantee the MaxiTrack mat unbreakable by vehicles up to 130 tonnes. To put this claim to the test, we invited Terex to drive their giant dumper trucks over MaxiTrack to see if it could handle the extreme weight. Weighing over 100 tonnes when loaded, and designed to deliver no-nonsense, robust performance in the most demanding of jobsites such as mining and quarrying, Terex Dumper Trucks really are monsters in their field. 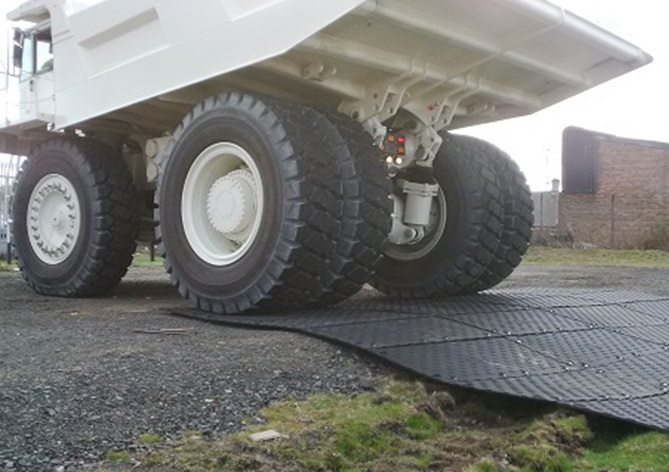 We built a MaxiTrack temporary roadway, using the high traction OctaGrip tread, over rough, sloping grassy terrain at a site in Glasgow. 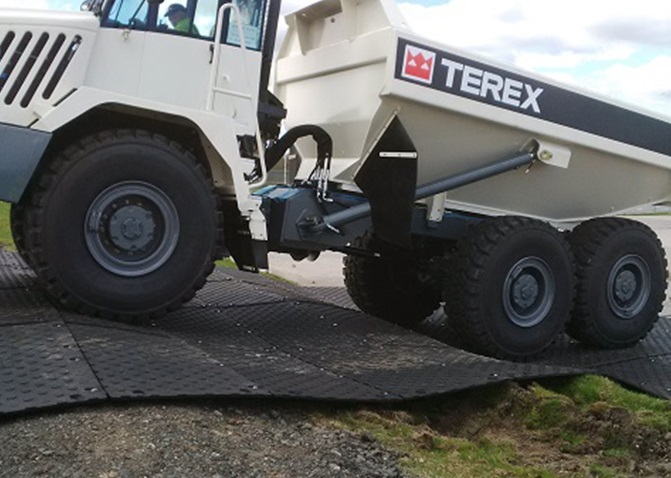 The Terex truck then performed a series of manoeuvres on, off and across the mats, to see how MaxiTrack would cope. No problem! MaxiTrack handled the extreme weight of the giant Terex with ease. 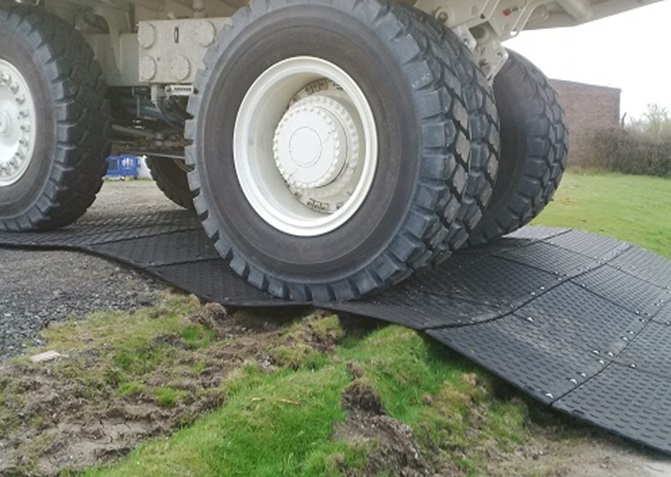 The mats were unscathed, the Terex enjoyed superior traction on the slope, and the ground underneath was left unharmed.